You're dressed in your favorite gear, ready to dance—but instead of heading to the studio, you take out your smartphone. A dance celeb has posted a new master class online, and you can't wait to dive in. Then, you might watch a popular choreographer's newest step-by-step tutorial. Who doesn't want to get words of wisdom from the best in the biz? But while video classes and tutorials have definite benefits, they can't compare to in-person sessions with a teacher who knows you and has watched you grow. Here are tips to help you navigate the world of online learning, so you can find supplemental training that helps you become the best dancer you can be. The upsides to online dance training are pretty obvious: Technology can get you closer to the professional dancers you admire. Hearing from working pros can inspire you and help you plan your career. 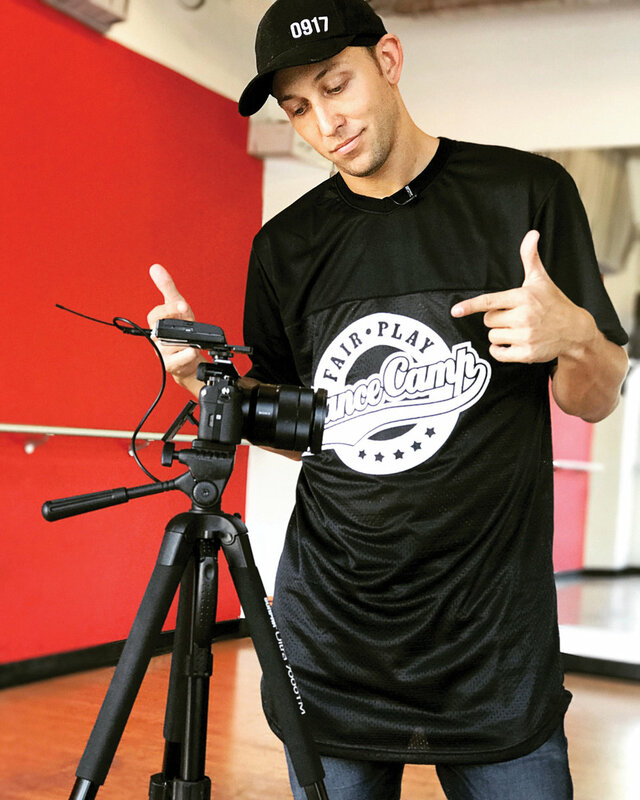 And "the more teachers you learn from, the more diverse your skill set will be," says dancer and choreographer Matt Steffanina, whose hip-hop tutorials and dance videos average millions of views on YouTube. 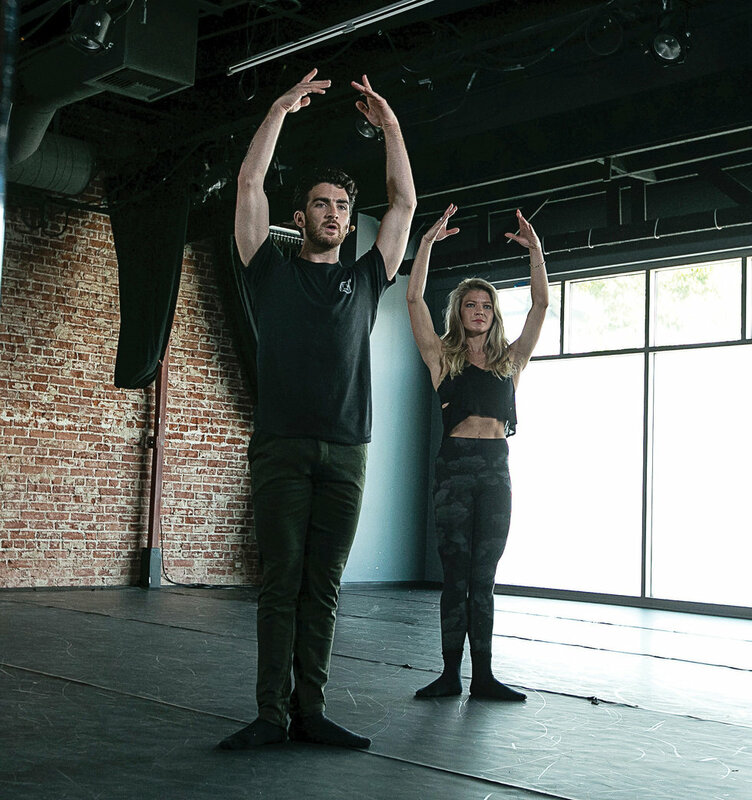 "Our choreographers are in demand around the world, but they can't get to every studio," says Jon Arpino, who co-founded CLI Studios with Forance, tWitch, Holker, and Caitlin Kinney. "We want to put their knowledge out there in an affordable and convenient way." In addition to instructional videos, the company recently added a direct-feedback feature to its app. "You can learn a routine, upload 30 to 60 seconds of yourself dancing, and pay to get written comments from the choreographer," Arpino explains. "Someone like tWitch might say the same things your regular teacher says, but hearing feedback in a different voice can have a big impact." Online resources make for ideal "dance homework" between classes, on weekends, and during vacations. Get the most from this extra-credit time by setting concrete goals. Maybe you want to test out a new style, or you're wondering if you're right for a certain company. Perhaps you want to work on a specific move, like an arm wave, or a quality, like musicality. Whatever your plan, don't rush things. Steffanina advises dancers to tackle one of his tutorials per week. "Learn the choreography on the first day, clean it up over the next few days, and then film it, watch it, and make more tweaks," he says. "Maybe by the weekend you'll post your own video, to get feedback from your peers." Even if you aren't ready to share your work, Steffanina says, filming yourself weekly is a great way to track your progress over time. Dancer, choreographer, and recording artist Mandy Jiroux, who posts choreography tutorials on her YouTube channel and has 1.3 million subscribers, recommends taking into account what you need on a given day. "Sometimes, it can be fun to just dance, without the strictness of the studio environment," she says. "Or, doing a video can be a good workout." You might also think of online learning as pre-professional practice. "I've had auditions where I had to get the choreography from a tape, instead of being in the room with the choreographer," Jiroux says. Accurately reproducing what you see, without help, will serve you well in your dance career. No matter how excited you are about digital classes, though, don't dial back your dance studio commitment: There are critical benefits that only in-person training can offer. For a start, training face-to-face means getting real-time critiques. Teachers can answer questions and adjust your body to correct you. They can tailor combinations to your needs and abilities. They can also demonstrate or explain steps in another way, if something's not clicking. "Everyone learns differently," says Jami Artiga, co-owner of The Dance Zone in Henderson, NV. While watching a video might work for some, "for others it makes a big difference to have physical touch, to hear the teacher's tone of voice change, or to see their expression up close," she says. On top of technique and artistry, Arpino credits the studio environment with fostering discipline, camaraderie, and teamwork. And, Artiga says, "there's so much value in the connections you make at your studio, both with other students and with your teachers." Those friendships and mentorships can last a lifetime. The internet can be your portal to new and exciting techniques, ideas, and ways of moving. But there's just as much to be said for the consistency of working with the same teachers, year after year. Think of online resources as a bonus, rather than as a replacement for your studio experience, and you'll have the best of both worlds. A version of this story appeared in the February 2018 issue of Dance Spirit with the title "Dance Class Goes Digital."